About me: Well, hello, ladies. 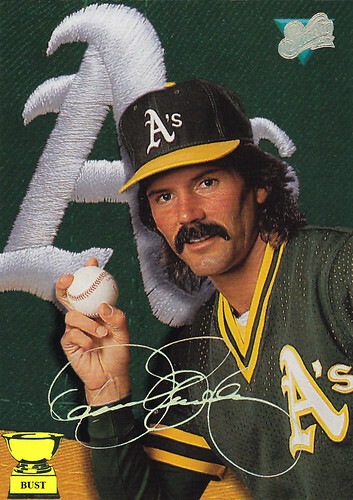 They call me the Eck, and I'm looking for a wreck, a wreck like you. You see this baseball? How would you like me to sign this for you, then throw it really, really fast? My baseball skills are well-known, but it's my bedroom skills I think you'll be interested in. See this mustache? Want to try it on for a few minutes? It'll only cost you a lip lock. Muah. What's that? You're a little jealous of my flowing man mane? Ha, well, that's OK. Everyone is. Let's cut the chit-chat. You. Me. A pile of one-dollar bills. Lost amid a hurricane of hair. You want to play ball with me? Just get in the box, and let me get into yours.